In the Early days of exploration, long voyages across the great oceans were nearly impossible. Not because of the weather challenges, or navigation. No, the largest barrier was nutrition for crew members. Scurvy and other diseases were common. Refrigeration did not exist, and preserving food was a major challenge. Now, you may have heard of James Cook, a famed early explorer, famous for being one of the first to do long, multi-year voyages to the Americas. What allowed Captain Cook to make it all the way to the America’s, up to Alaska, and back? Improvements in navigation? A larger vessel? A superior crew? No. In fact, it was the Fermented Foods, namely Sauerkraut packed tightly into barrels, that allowed James Cook to keep his crew fed and healthy. Not only did the Sauerkraut never spoil, even on the high seas for multiple years, but it actually helped fight off sickness, disease, and other illnesses that had plagued larger crews for centuries. 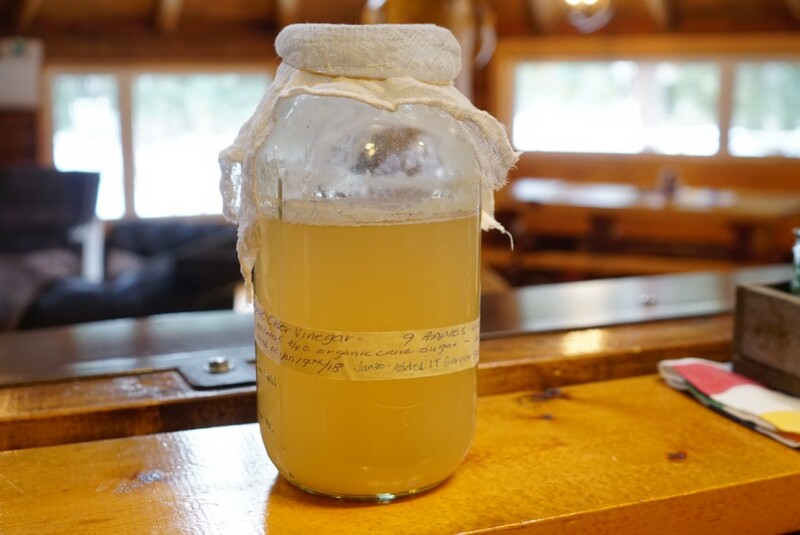 But in fact, this is only one account of the power of Fermentation, a sacred art form that has been passed down since the dawn of civilization, in hundreds of different forms; and turns out, you can do it too! Most people, when they hear the word ‘ferment,’ think about those rotten vegetables that have been left on the counter too long, or that wine that was left too long and gone sour. They think of moldy things, strong stinky smells, and in general, things that have become undesirable. What most people don’t know is that fermented foods are a critical part of almost everyone’s diet, at least to some extent. Beer, Wine, Bread, Cheese, Pickles, Sauerkraut, yogurt… These are all examples of fermentation at work. Personally, I believe diets across the globe are changing. And not for the better. People are busy, and therefore are eating more packaged food, more processed food, more food with pesticides and GMO’s. Not only are these foods less delicious, they also have greater environmental impact, and they are usually wiped out of almost all the micronutrients, bacteria and minerals that are so important to our health. This is where fermentation comes in. Not only is it fun, but the many forms of fermentation can add an infinite amount of nutritional value to everyday foods, while also being delicious! If you love good food and healthy living, we are pretty sure you will want to keep reading, and start trying some of these easy home ferments in your own kitchen! 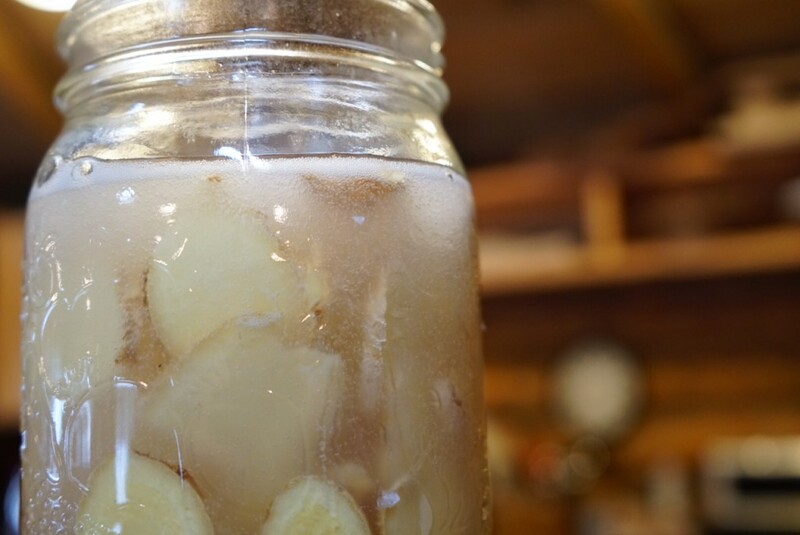 In this post, we will go over our Homemade Ginger Beer, Sauerkraut and Raw Vinegar! 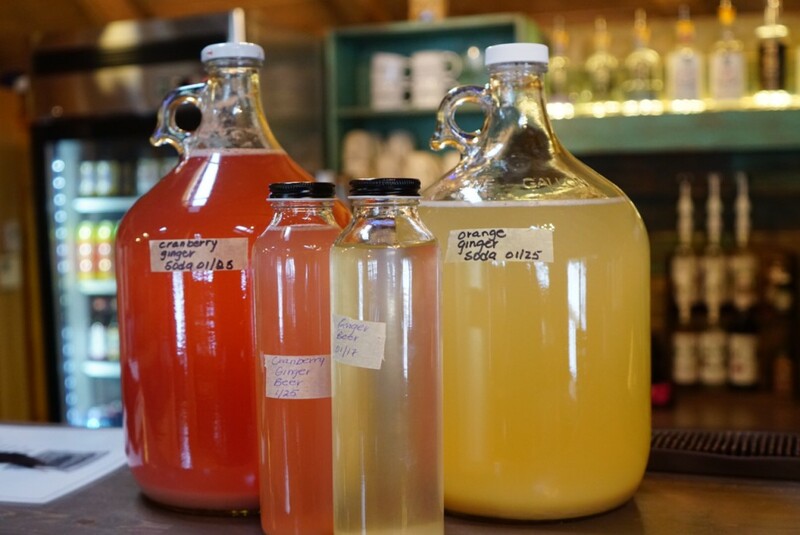 Technically speaking, fermentation is the process of transforming food using yeast and bacteria and their enzymes. But what does that really mean? Well, first one must understand that there is yeast and bacteria in the air all around us, no matter where you are. It is the reason your bread goes moldy when left out. The yeast and bacteria are always looking for sugars and starches to consume, and in this consumption, they transform the food into different substances. This can be in the form of mold, acid (vinegar), or alcohol. So, when we are talking about the fermentation of foods, the key is to create a controlled environment where we can discourage the growth of bad microorganisms (like mold), and encourage the growth of good microorganisms (like probiotics, acetic acid, and alchohol). 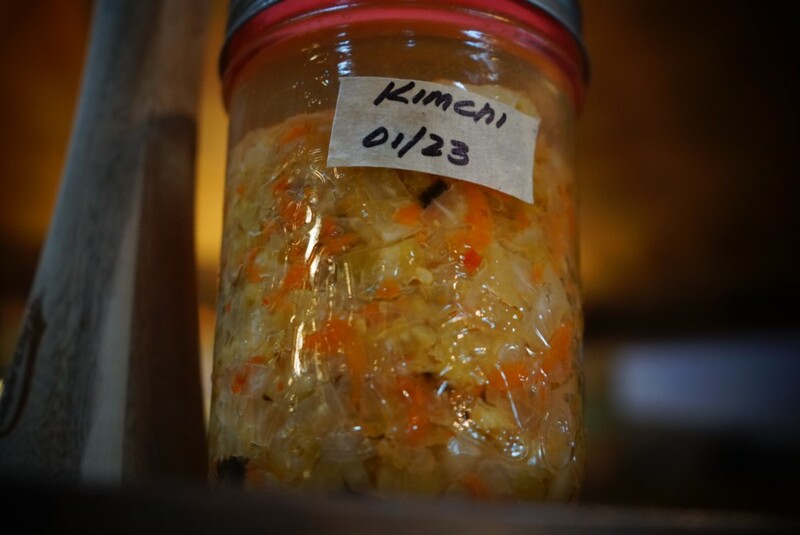 So what are the benefits of fermented foods? Well, we will outline the benefits of each individual ferment later in the post. But essentially there are 4 major benefits of fermenting foods. 1) For preservation (foods like Sauerkraut and pickles can last years out of the fridge without going bad), 2) increasing bio-availability of vitamins and minerals that would otherwise not be extracted or absorbed during digestion, 3) boosting our immune system and gut health through the cultivation of probiotics (aka live bacterial cultures), and 4) To create unique flavours. The miracle of alcohol production through fermentation could also be viewed as a 5th. When you think of probiotics, most people think of yogurt. This is the best, most common example of food that contains an active bacterial culture. When we eat or drink something with an active bacterial culture, those bacteria will enter our stomach. A live culture has millions and millions of bacteria. This diversity and abundance of gut bacteria helps us digest our food, and helps fight off illnesses and sicknesses caused by spoiled or contaminated food/drinking water. The key to gut health, like any natural biome, is diversity, and abundance. Eating cultured foods help cultivate this gut health, and is maybe the oldest form of healing gastrointestinal problems and stomach aches (or avoiding them altogether). Here’s the problem. Very few items found at the grocery store contain any live cultures. That is because for something to be considered shelf stable, it must be pasteurized. Pasteurization simply means all bacteria has been removed, by canning or heating. In Canada, we are not allowed to import any unpasteurized food products. Not only does this not good because we can’t cultivate our gut health, but furthermore, often the process of pasteurization is actually destructive towards our gut health, meaning when consumed it is actually killing the probiotics already present in our stomachs. Meaning we get sick more. Meaning we have to rely more on pharmaceuticals and prescription drugs. The opposite of pasteurization is Raw, or unpasteurized food. That is what we are dealing with during fermentation, and incorporating more Raw foods into your diet can have a significant effect on your overall health. Ok, so enough with all this scientific stuff. Let talk about what we have been making up here at The Lodge! This one is probably our favourite one so far, as it is relatively easy, delicious, and amazing for you! Essentially, all ginger beer is is a sweetened ginger liquid, with a live bacterial culture added. Once bottled in a air-tight container, the culture will begin to consume the sugars, creating carbonation as a bi-product. After a few days, you will have a yummy, bubbly, and highly nutritional drink! 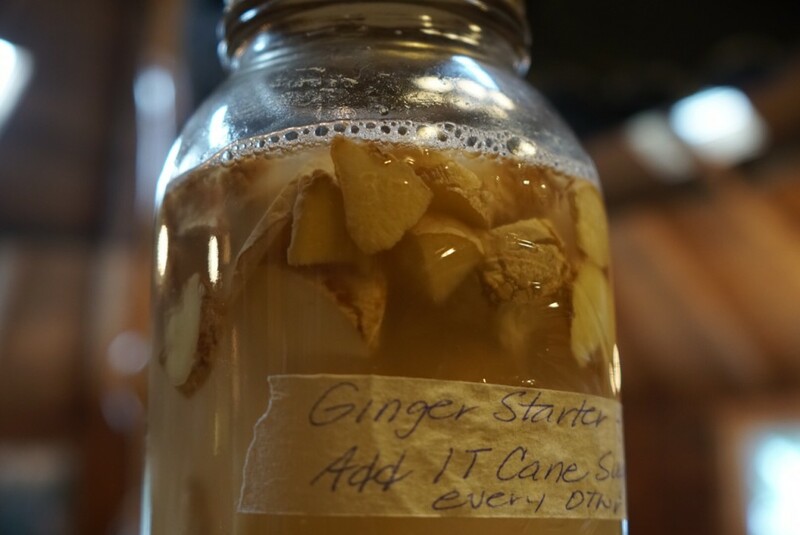 The process of making Ginger Beer, as with most active ferments, begins with capturing the wild yeast and bacteria from the air. This is done by chopping up fresh ginger, and placing it in a mason jar with water and some sugar. Cover it with some sort of permeable cloth that will keep big things like flies out, but still allow yeast and bacteria to enter. In a few days, there should be some bubbles starting to form. This means you have captured yeast and bacteria and you now have a live culture, or what is called a ‘Ginger Bug’. Once you have a Ginger Bug, you can put a lid on the jar. To keep the culture of bacteria alive, you must feed it sugar on a regular basis. We use Raw Cane sugar, but any type of sugar will work, except for honey (as honey is anti-microbial). Once you have a live culture, you can use it to make ginger beer as many times as you like, for all of time, as long as you keep it alive by feeding it! To actually make the beer, start by adding chopped fresh ginger to boiling water and turn down to medium. The amount of ginger depends on how strong you want your beer. Let simmer for 30 mins- however long you like. Add in sugar to desired sweetness- again, anything but honey works- and stir in. Once the mixture has reached room temperature (the culture will die if over 115 degrees fahrenheit), add some of the Ginger Bug. Stir in the bug. At this point, it is ready to be bottled! Bottle your liquid in anything that is air tight, but be sure to put at least one in a plastic bottle, so you will be able to tell when it has reached the proper carbonation level. It should take anywhere from 2-7 days to carbonate, depending on the strength of your bug and your climate. Ginger has powerful medicinal properties, including being an immune booster, being anti-inflammatory, and also helping to relieve pain. This drink is great if you have a sore throat, nasal congestion, or any stomach illnesses. Sauerkraut has been newly introduced to the world as the most recent ‘Superfood’. Superfoods are foods that are incredibly high in antioxidants, vitamins and minerals that are especially beneficial for health and well-being. Sauerkraut, in its most simple form, is two things: Cabbage and Salt. So wait? If Cabbage is not a superfood, and everyone says salt is bad for you, how could salted cabbage be a superfood? Enter the amazing properties of fermentation! Cabbage is loaded to the brim with minerals, antioxidants, and vitamins. The problem is, when we eat Raw cabbage, it is much more difficult to digest, and because of this, our body is not able to extract all those good things from it. It simply passes through our system and leaves the body as waste. But when we add salt, and massage the cabbage, then lock it in an airtight container to ferment, the salt breaks down the cabbage, making all those nutritional properties of cabbage bio-available to our system, which basically means we actually retain all those vitamins, minerals, and antioxidants. Pretty amazing! This process will also prevent the growth of mold spores, and stop the growth of unwanted bacteria, meaning it will keep out of the fridge for years and years. It will also grow stronger in flavour the longer we leave it. The process of making Sauerkraut is so simple, you should all go and make your own batch right now! Start with a your desired amount of cabbage. Put it in bowl and add salt, approx 1 tbsp per 1 lb of cabbage. The salt essentially draws the moisture out of the Cabbage. Massage the cabbage for 10 minutes, or more, and soon the bottom of your bowl will be full of liquid. Pack the cabbage as tight as you can into a mason jar, or some sort of air tight jar, ensuring there is no air bubbles, once all the cabbage is in the jar, pour the liquid brine over the cabbage until it is completely saturated, and the cabbage is completely submerged. You will want to place a weight of some sort over the cabbage to ensure it is completely submerged in brine. As long as it is submerged in brine, the Cabbage should never go bad! Let it sit outside of fridge for 5-7 days, or until desired flavour. Put in the fridge once desired flavour is reached, which will slow down the fermentation process and prevent the cabbage from getting stronger in flavour. And with those simple steps, your newest dietary superfood! On top of the benefits mentioned above, sauerkraut is known to lower blood pressure and blood cholesterol levels, reducing risk of heart disease, increase gut health and help upset stomachs, is known to be a fantastic cure for canker sores, and is very rich in potassium and calcium! *It is worth noting that store bought Sauerkraut is almost always pasteurized. 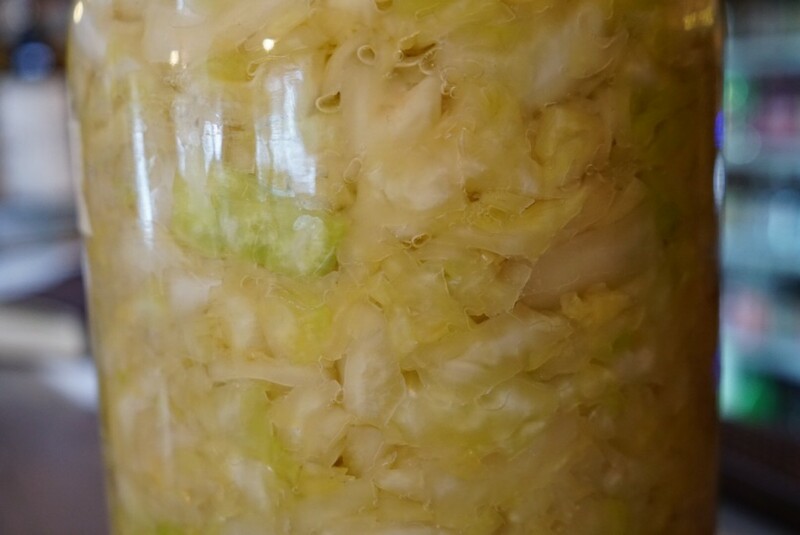 It is cabbage submerged in stilled vinegar, and has no active bacteria in it. It does not have any of the health benefits of Raw Sauerkraut. Making raw vinegar is very simple. The only downside is how long it must sit before actually being vinegar. You can make Raw vinegar with any type of fruit, fruit scraps, or vegetables. So it is a great, simple way to utilize scraps and turn them into something amazing! To get started, take your fruit scraps, or whole fruits/veggies (apples are a great start, but we have also done raspberry and orange), and pack them as tightly as possible into the bottom of your vessel. The more fruit you pack in the stronger the flavour of your vinegar will be. Once packed, add sugar water (roughly 1/2 cup per litre of water), and fill the vessel to the top. Note: The amount of sugar you add depends on how sweet the fruit or vegetable you are using is. Something like rasberries are very sweet, so less sugar would be required, whereas if you were using a vegetable like carrots then more sugar might be necessary. Top with a cheese cloth, or permeable fabric of some sort. Let the sugar water and fruit sit for 6-8 days, and soon you will see some bubbles as yeast and bacteria from the air begin to lay down their roots. After 6-8 days, strain out the fruit, and return the remaining liquid back into the vessel. After that, time is all that is required to give you perhaps the most powerful natural medicine that exists! It should take anywhere from 5-8 weeks. Once it smells, and tastes like vinegar, it is vinegar! The benefits of Raw vinegar are literally endless. Taken internally, raw vinegar will cleanse the liver, detox your whole body, help control weight, soothe and heal sore and dry throats, help preserve memory, kill parasites, increase absorbtion of minerals into the body, increase blood circulation. It is also known to help balance your energy and emotions, and increase your Chi (life force). Raw vinegar is also a powerful external medicine, soothing burns and cuts, removing toxins from insect bites, stops bleeding when applied to a cut, has anti fungal properties, and can also promote healthy skin if used on the face and body, and can also be used as a moisturizing shampoo. Raw vinegar can also be used as a fertilizer, or as a herbicide. I told you… The benefits are literally endless. All from shoving some fruit in a jar and leaving it for a couple months! So… Time to get started! I hope this post has inspired you all to begin experimenting, or at least begin to incorporate these amazing natural remedies into your diet. Even if you don’t have the means to make these in your own home, you can find Raw Cultured foods at your local organic store. Just be sure it is raw, and unpasteurized. 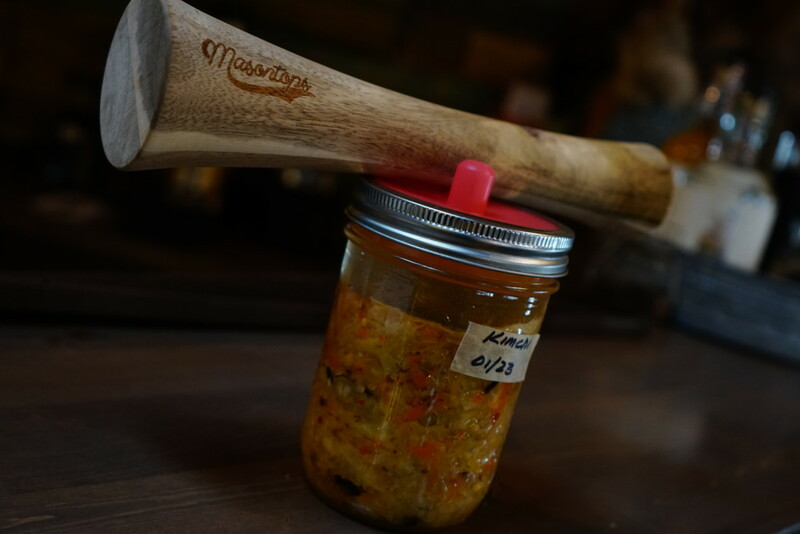 We only outlined some of our favourite ferments here, but we have also been making Sourdough Bread, Pickles, Kimchi, Mustard, Mead, and a whole assortment of other things, and we would love to have you out to the lodge to try them all out, or to purchase for yourself! Anyways, that is all for today. Thanks for reading and reach out to us if you have any questions or need some guidance! We are happy to help!